The foundation of a turbine must transmit into the soil of the seabed all the working loads generated by rotor impulse, as well as the wind and wave loads, and vertical loads caused by operating weight during the intended life time. The main conditions, which have an impact on the selection of a special foundation type are water depths, soil conditions, operational requirements, environmental compatibility, and lifetime. The target is to build a safe and reliable foundation. The final decision on foundation type has been made on the basis of detailed soil investigations. Merkur Offshore uses the new generation of XL monopiles, with diameters of up to 8 m, lengths of up to 73 m, and a total weight of approx. 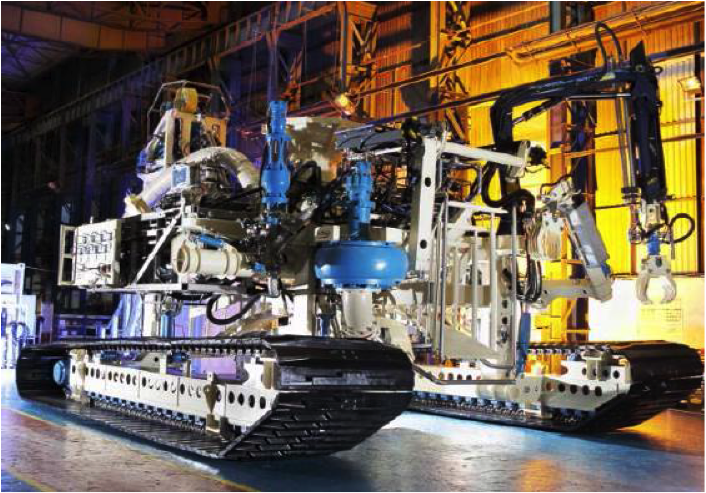 970 t. Scour protection will secure the level of the seabed, to ensure the permanent stability of the structure. Connection to the transition piece is via a bolted flange. Every monopile consists of a cylindrical section at the bottom, a conical section in the middle, and another cylindrical section at the top. The length of the bottom cylindrical section differs per monopile, due to ranging water depths and varying geotechnical boundary conditions at the individual WEC locations. The top cylindrical section has a constant outer diameter of 6.0 m. The conical section has an outer diameter of 6.0 m at the top, increasing to 7.6 m or 7.8 m at the bottom. Below the conical section, the pile diameter is kept constantly at 7.6 m or 7.8 m. The top of the MP consists of a flange, with holes for the bolted connection to the TP. At 1.2 m below the flange level a console is welded inside the MP, on which the airtight deck (attached to the TP) will be fixed. The BoP-Contractor, GeoSea has subcontracted the design and supply of the OSS to the JV, which is comprised of Cofely Fabricom, Iemants and Tractebel Engineering. The Offshore Substation will collect the energy from the 66 WEC at a voltage of 33 kV and transform it into 155 kV. 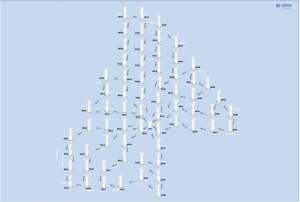 It serves as the “hand-over point” to the grid operator, TenneT. The platform will be installed on a conventional offshore jacket. Once commissioned, the platform will be fully automatically operable and will not need to be occupied during operations. Service and maintenance works will be operated by helicopter, using a helipad on the topside to allow quick access. 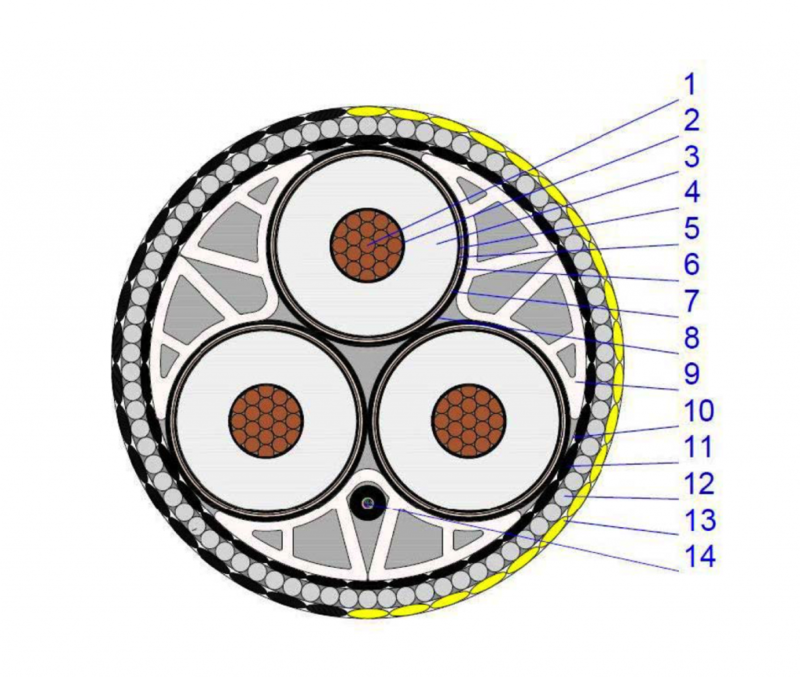 The inner array cable layout for all 66 locations is in a loop configuration, to provide redundancy. It is divided into 12 strings of 5 or 6 turbines per string, with a link cable to close the loop. 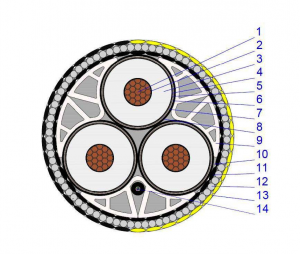 All Subsea cables will be installed via surface-laying on the seabed, using a special purpose-built cable-laying vessel, such as the CLV Nexus. 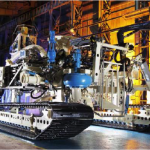 The cables will be buried in the seabed using a cable trenching machine, such as the CBT 1100, with jetting capability, which fluidizes the seabed to bury the cable. This will be deployed from a separate support vessel. To ensure the safety of the crews accessing the foundations to install the cables, a dedicated support vessel, using a “Walk to Work” system, will be used. This will provide a superior level of comfort and safety in the harsh conditions of a North Sea winter. 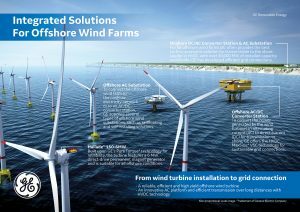 Merkur Offshore will be equipped with 66 wind energy converters of GE’s offshore wind turbine “Haliade 150-6MW”, with nominal power of 6 MW each. Haliade 150-6MW owes its name to the mythical Greek, “Heliades”: the nymphs of seas and oceans. 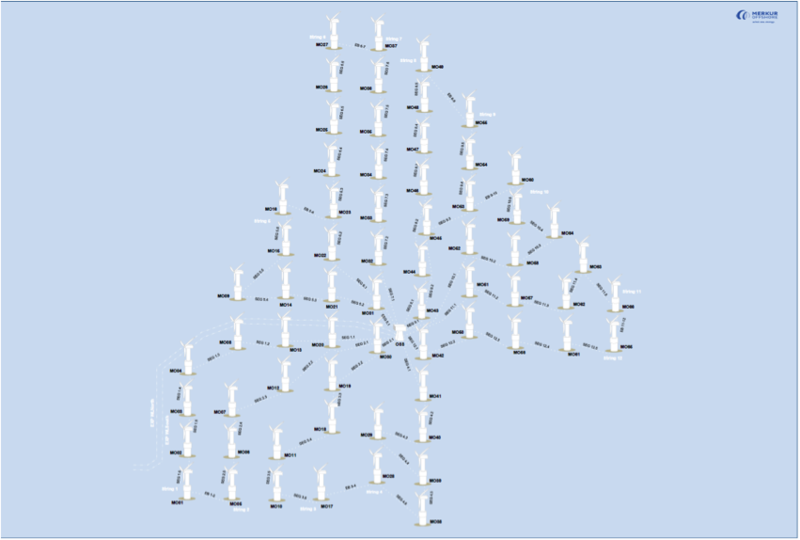 The hub height of a single turbine is more than 100 m above water level. The innovative gearless 6 MW machine is equipped with one of the largest rotors in the wind industry which, covering an area equivalent to three football fields with its diameter of 150 m.
The Wind Turbine Generator (WTG) has been designed following Class I-B specifications of the standards IEC-61400-1/IEC-61400-3. It is suitable for offshore sites with a reference wind speed of 50 m/s (10-min average) and a 50-year extreme gust speed of 70 m/s (3-sec average). The Haliade 150-6MW is a 3-bladed upwind WTG, operating at variable speed. It is equipped with a permanent magnet direct-drive generator and three identical full power converters. The converters and transformer are located at the tower bottom, as well as the low voltage electrical distribution cabinet. A distribution cabinet is placed in the nacelle to supply the pitch, the yaw, and cooling fans in the nacelle, and to collect signals from the sensors. Due to the rough ambient conditions in offshore environments, an air conditioning system is included, which controls the inside air quality and protects components against corrosion and high temperatures. In addition, the main wind turbine components are cooled by heat exchangers. Responsibility for the grid connection is with the transmission system operator, TenneT. 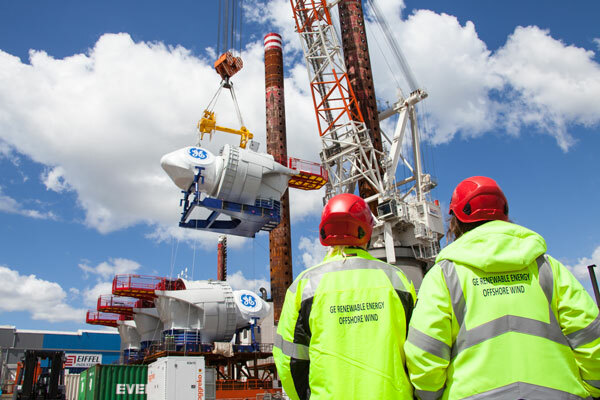 The Merkur Offshore substation will collect the generated electricity of the wind energy converters and transmit it to TenneT’s “DolWin gamma”, a HVDC converter platform. Grid connection through “DolWin 3” will transport the electricity via DC-cable to the onshore HVDC converter station in Dörpen-West.